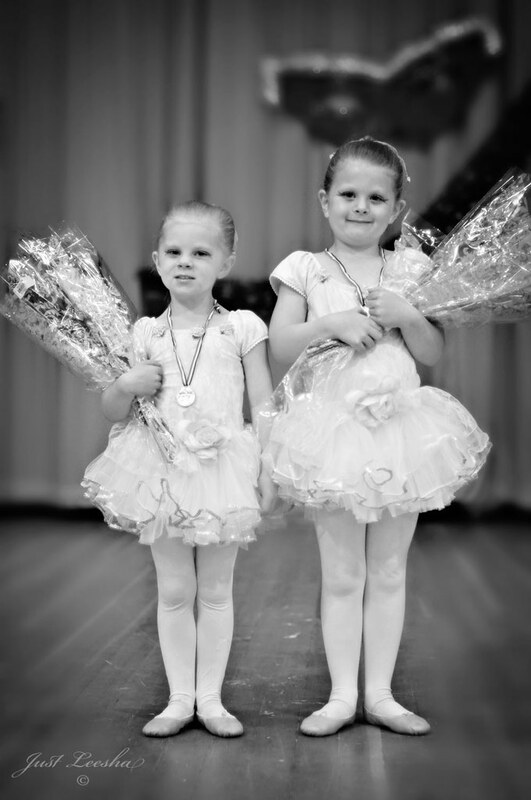 The girls had their season wrap up for ballet last week. 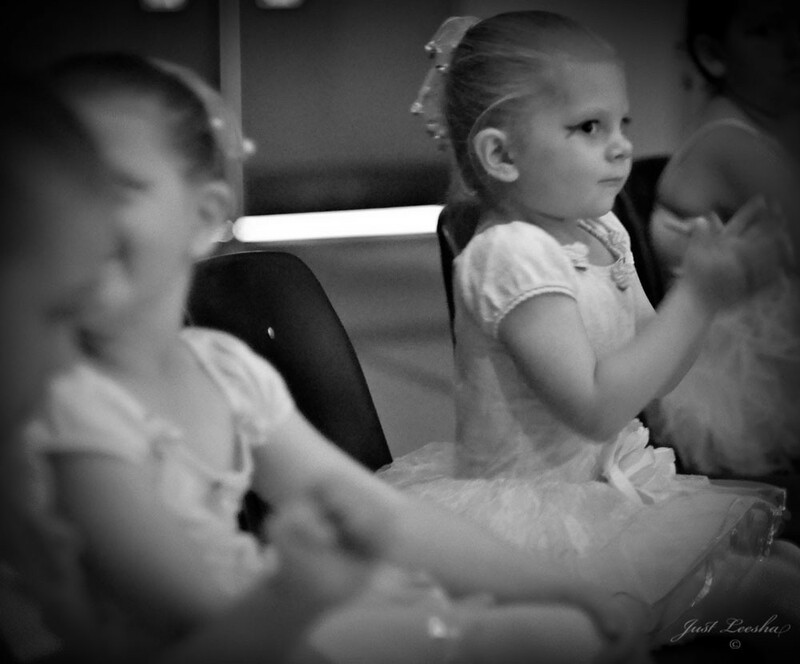 This is my little one clapping her little heart out. If your a local, you know how much I want to yell “Save Money!” after that cheer..
the lighting in the auditorium is atrocious..
(When the English language fails me, I make up my own words). ehhh hmmm, I swear they enjoy ballet! I’m convinced they are so focused they just can’t muster smile just yet. As a side note, my little one performed no unchoreographed kung foo kicks this year. 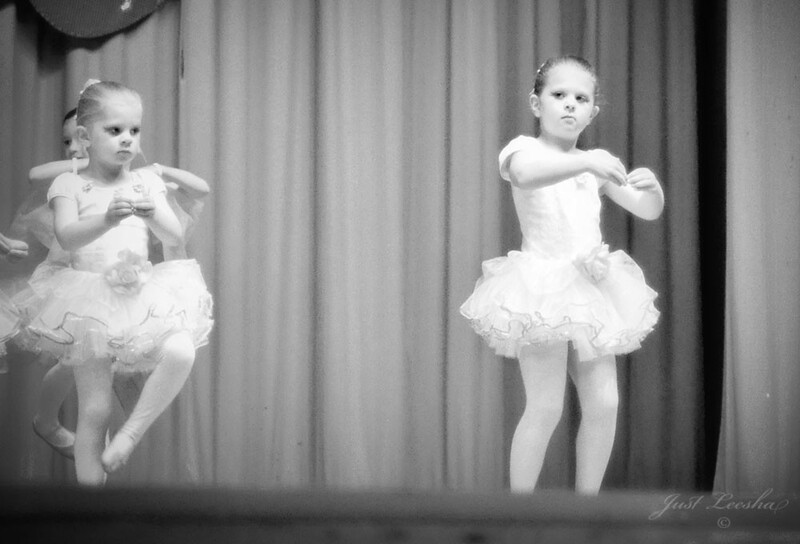 They were the highlight of last years performance as the rest of the girls twirled and did plié’s, she ran amok all over the place doing her own thing. I laughed so hard last year I nearly peed my pants. 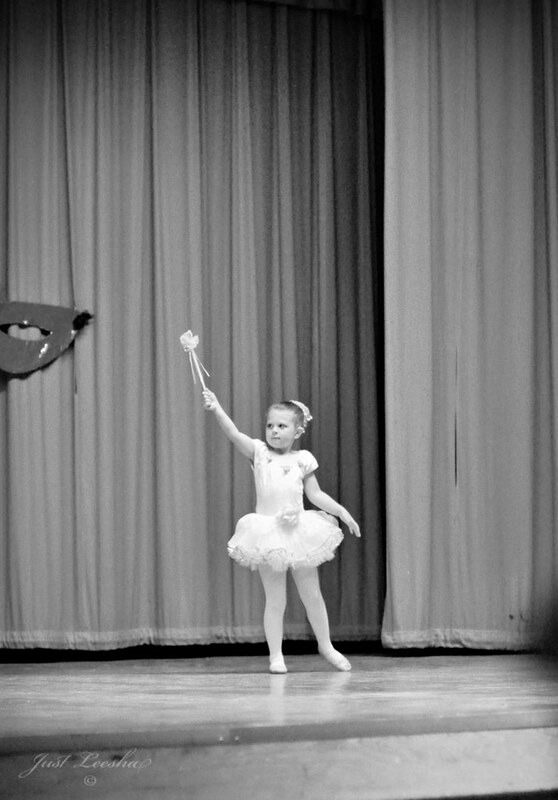 This year she stayed within the ballet routine and I must say, she did really well! I will also admit, I missed her running all over the stage making up her own dance style, but this can only mean that she is learning and able to follow a routine, which I’m also very proud of. I totally missed those kung foo crazy kicks.